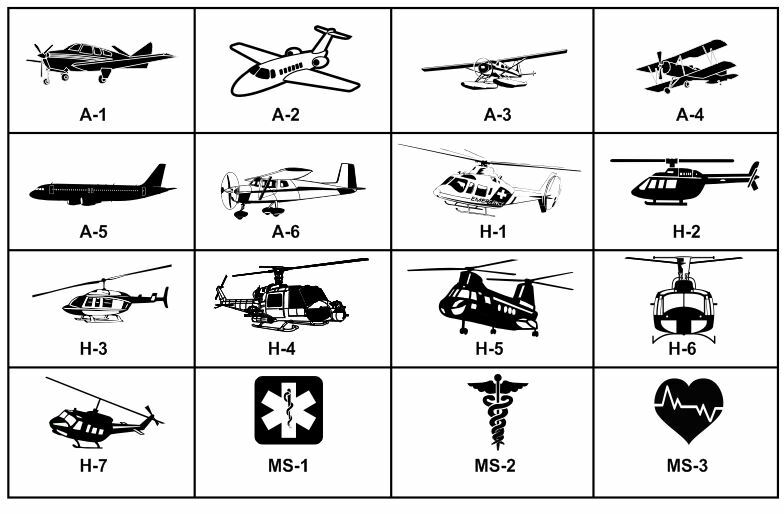 shaped stickers are perfect for airports, aviation museums, air shows, community events, EMT, medic and life flight programs etc. Made and Printed in the USA. CHANGE ANY OR ALL WORDS NO EXTRA CHARGE! Add one of our stock logos from below at no charge or use your own. Custom printed wing shaped stickers are printed with your business or organization's name or logo, you'll be proud to give out. No die or setup charges. No extra charge for gold or silver foil, no extra charge to add your logo, change any or all the words, no charge for an email proof after we receive your order. Wing shaped stickers are proudly printed in the U.S.A.
Stickers provided on Rolls of 1,000. Perforation provided between each sticker at No Extra Charge. Please Note: Black ink is recommended for shiny gold, Black or Dark Blue ink for shiny silver stickers. BADGE STICKER SIZE: 1-1/2" x 3-1/2"
Add one of our stock logos at no charge.